Less than two years ago we expanded our Marketing Services platform to include strategy development. 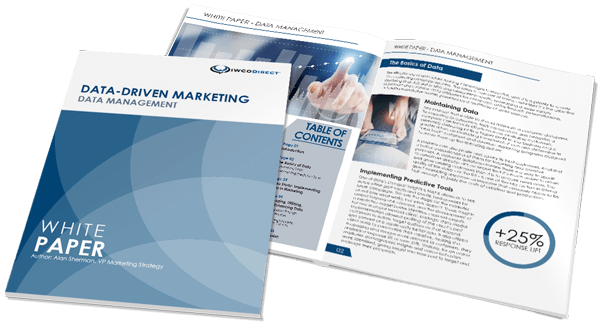 We knew we could help our clients improve the return on their marketing investment (ROMI) and make direct mail a more effective channel if we had a seat at the strategy table. Demand for our strategic capabilities has been so strong that today we announced Alan Sherman has joined IWCO Direct as vice president, marketing strategy. Alan will partner with Wes Sparling to lead client campaign strategy and help guide the creative execution and production of our clients’ direct marketing campaigns. We’re confident our clients will appreciate the strategic insights Alan will bring to their programs. Having worked for Fortune 500 companies, global agencies, top retailers and financial firms, Alan has a keen understanding of the direct and digital marketing industries from both sides of the table. He knows how to accomplish our clients’ objectives while navigating the many pressures they face. We’re excited to welcome Alan to our team and about the continued growth of our Marketing Services platform. Our holistic approach to direct marketing programs is providing strong value to our clients and driving stronger ROMI for their campaigns. This platform will continue to evolve as one of the most powerful forces in multichannel campaigns.